The "Scottie" series for young readers provides information on Scotland, including interesting facts, activities and suggestions for places to visit. 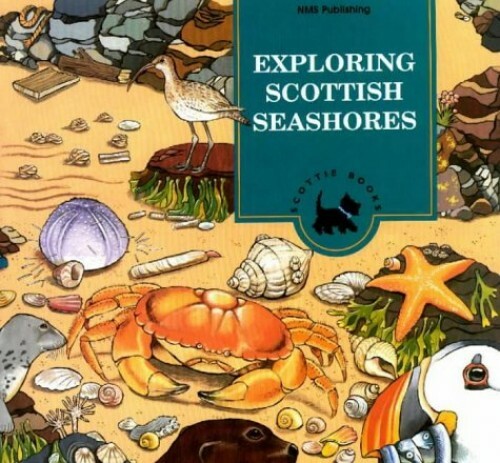 This volume explores the animal and plant life of Scottish seashores. Activities suggested include making a "goggle box" for rock pool gazing. Scotland's coastline is almost twelve thousand km long. Exploring Scottish Seashores looks at the wonderful variety of its natural features and the plants and animals that live there. Did you know that we use seaweed to help make ice-cream? Did you know that sea anemones catch their food by firing tiny poisoned darts on a thread? What might you find living beneath a rock, or buried in the sand? Find out: How to make you own 'goggle box' to make rockpool-gazing even more fun; The right way to pick up a crab; The places you might see puffins, otters, dolphins and whales; How to make seaweed pictures and seashell ornaments.